Ash River Outfall- A short distance from Lavender Hill on the road to Clarens, is the Ash River Outfall. It offers a wonderful few hours to enjoy this engineering project and the surroundings. 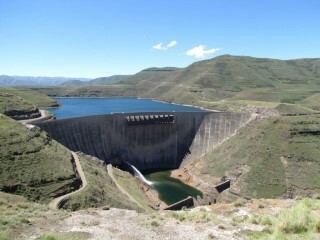 The outfall is a part of the Lesotho Highlands Water Project. It is a large water-carrying tunnel, the Trans Caledon Tunnel, which runs from under the Maluti Mountains from Lesotho’s high altitude dams to the the Ash River Outfall. The objective of the project is to transfer excess water from Lesotho to the Gauteng region. Lionsrock Sanctuary- Lionsrock is a Big Cat Sanctuary situated 18km outside of Bethlehem.The miserable conditions that lions in zoos and private captivity lived in led FOUR PAWS to build a sanctuary for big cats in South Africa. LIONSROCK offers big cats a safe home which meets their natural requirements for the rest of their lives.Lionsrock offers a wide range of activities for its visitors, game drives, bird watching, hiking trails as well as an onsite restaurant. This 11 600 hectares of unique environment is true highland habitat, providing home to a variety of mammals including black wildebeest, eland, blesbok, oribi, springbok and Burchell’s zebra – and birds, including the rare bearded vulture (lammergeier) and the equally rare bald ibis, which breed on the ledges in the sandstone cliffs. Ribbokkop, the highest point in the Golden Gate Park, reveals a breath-taking tapestry of red, yellow and purple hues as its warm shades merge with the cool mountain shadows towards evening. 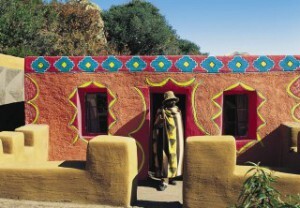 A visit to the Basotho Cultural Village which nestles at the foot of huge sandstone mountains, will give you a deeper insight into the lifestyle of the South Sotho from the 16th century to the picturesque present. On arrival at the Cutural Village, a friendly receptionist will show you an introductory video which illustrates the building process of the museum. Demonstrations of the decorations of huts, making of basketware, crushing of maize and traditional dances are shown. Your tour will commence at the Khatloa under the expert guidance of a tour guide as you cannot enter the chief’s village and explore the way of life of his people without first receiving his permission. He will offer you a sip of Sotho beer as a token of hospitality and you may engage in a traditional game of maraba-raba. At the Ngaka (the chief’s bone thrower) the throw of his which bones will give the visitors a peep into the future. At the dwellings of the first and second wives, visitors will enjoy some motoho and dipabi. The interesting utensils and colourful decorations are discussed and explained. The Basotho Cultural Village lies next to the R712 from QwaQwa to Golden Gate National Park is close to the popular Amphitheatre of the Drakensberg mountain range and forms part of the scenic highlands route. Cleverly placed between huge sandstone boulders, the restaurant offers delicious traditional meals as well as light refreshments. The Village regularly hosts art exhibitions as well as live stage performances at the sandstone amphitheatre. The curio shop offers traditional clay pots, basketware and other handmade items. Guided tours of the museum are conducted from 9:00 to 16:30 (weekends until 17:00) seven days a week. 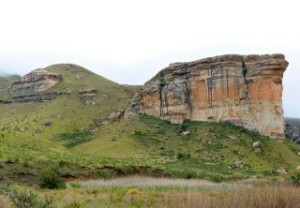 The Village lies next to the R712 from Harrismith in the eastern side of the Golden Gate National Park or from Clarens travelling through the park. Guided tours of the museum are conducted from 9:00 to 16:30 (weekends until 17:00), seven days a week. Hiking and Walking Trails- Seven trails in and around the Free State village of Clarens, developed and maintained by the Clarens Village Conservancy. These trails range from 300m to 5 km and moderate to easy. Clarens Brewery- If you love to try local brews when you travel, a stop-over at Clarens Brewery is a must! 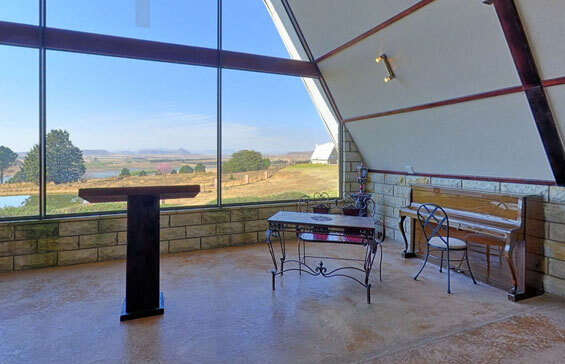 They offer free tastings, and once you settle on your favourite, you can relax with a draught and enjoy one of the best views over the spectacular Maluti Mountains. Clarens Brewery brews fine hand crafted beers and cider in the beautiful village of Clarens in the foothills of the Maluti Mountains. The Clarens Brewery is the first and only microbrewery in the Free State and has been since December 2006. Brewer, Stephan Meyer, has a passion for microbrewed beer and has been brewing full grain, pure malt beers since 2004 with an absolute dedication to quality and craftmanship. This is a must-do when visiting Clarens! CX Extreme- Bring over your family and friends to the CX adventure zone “IN TOWN” for a great time. They have almost all their adventures on site with a coffee shop, cocktail bar and a cool deck to relax on. 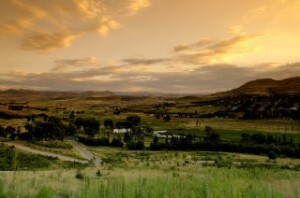 Where you wondering what to do in Clarens? Well go and try one of the following or all, White water rafting, Quad bikes, Zipline, Abseiling, Paintball, Archery, Putt Putt, Rock climbing wall, MTB rentals or one of our day tours. They are easy to find 300meters from the main entrance of town, just look out for the giant CX sign. Art Galleries- Clarens offers a wide variety of Art Galleries for you to amble through at your leisure. Clarens Day Spa- All their treatments focus on de-stressing and draws you into a space filled with aromas of healing. They offer a variety of treatments which include: Facial Therapy – Body Therapy – Massage Therapy – Manicures – Pedicures – Waxing – Tinting. Afri Ski offers endless opportunities for all kinds of unique experiences and activities in both Winter and Summer. Ideal for sporting enthusiasts at 3222m above sea level. 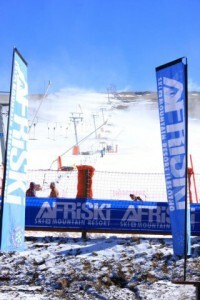 If you are a winter visitor, they hope that you do indeed find that a bad day of skiing beats a good day in the office; if you are joining them in the warmer months, the tranquil surrounds, the mountain backdrop and spectacular scenery offers you the opportunity to relax and enjoy the sights and sounds of Lesotho. They offer Pudi Club for the kids with a full range of children’s activities, to make sure they enjoy themselves at least as much as you do. Go and explore the Mountain Kingdom of Lesotho with them or just have a Maluti beer at the highest restaurant in the Africa. Real snow, real skiing! The Katse Dam, built high in the Maluti Mountains and named after a revered man who once lived at the site, is at the heart of the Lesotho Highlands Water Project. This is the land of the “blanket people”, who ride their sturdy ponies, build picturesque houses and greet visitors with a dignified salute. All the major rivers of landlocked Lesotho are well-stocked with the finest trout, and with the exception of the Tugela, flow west into the Atlantic Ocean. (The Orange River starts as the Senqu River near Cathedral Peak). The Lesotho Highlands Water Project has changed all this, with water now being diverted north by gravity. On the way to Katse the road passes the intake tower near Ha Lejone from where the crystal-clear water starts its long journey, at 18 cubic metres per second, encased in the 82-kilometre tunnel through basalt, sandstone and under six rivers, and through turbines at Muela. It eventually tumbles into the Ash River, between Clarens and Bethlehem, then into the Liebenbergs Vlei River, which joins the Wilge River near Frankfort before finally reaching the Vaal Dam. Five massive T.B.Ms (tunnel boring machines) were used in the construction phase. They were introduced into the mountains through six additions. Future phases are planned to increase the supply to 70 cubic metres per second. The bridge near the intake tower has also received acclaim, rising 90 metres above the bed of the Malibamatso River. (Incidentally, this is one of the few straight stretches of road). The scheme attracted worldwide attention for its concept, its magnitude and for the engineering feats involved, not least of which is the fully tarred, 150-kilometre access road from Ficksburg. It traverses three magnificent passes, the highest being, the 3,090 metre high Mafika Lisiu Pass. The flora, bird life and photographic beauty of the area will astound, as will the winter snow, which has no equal in Southern Africa. The statistics are startling indeed. 687,000 tons of cement and fly-ash were hauled from Ficksburg by a fleet of 26 trucks which covered in excess of 7.2 million kilometres. The double curvature, arch dam is 185 metres high, (the highest in Africa and 50% higher than Kariba), with a crest length of 710 metres. The aggregate and fines used were crushed on site from the basalt rock. All major critical components of concrete manufacture were duplicated, including the ice plant used in summer for cooling the curing concrete, the steam plant for winter, the batching plant (with dual computer systems ), and the two Blondin cableway cranes, used to deliver the concrete day and night at a rate of 6,000 cubic metres per 20 hour shift. A further dam at Mohale, together with a small weir on the Matsoku River, has virtually doubled the capacity of Katse. Mohale is accessible through Maseru on another magnificent road. A 45-kilometre tunnel to Katse will connect it. The well- maintained road allows access to the exquisite vista, but extreme caution is necessary to deal with the steep climbs and sharp curves. A normal saloon car is adequate. At the dam, there is an information centre where a model and a video of the project can be viewed. A lodge, which can be used for an overnight stay, overlooks the dam and provides a well-deserved lunch, for the day-tripper. Make all the necessary arrangements and you will be on your way to a great and breathtaking adventure, to wonder, not only at what nature has to offer, in the form of spectacular scenery, but to be lost in admiration at what man can achieve.